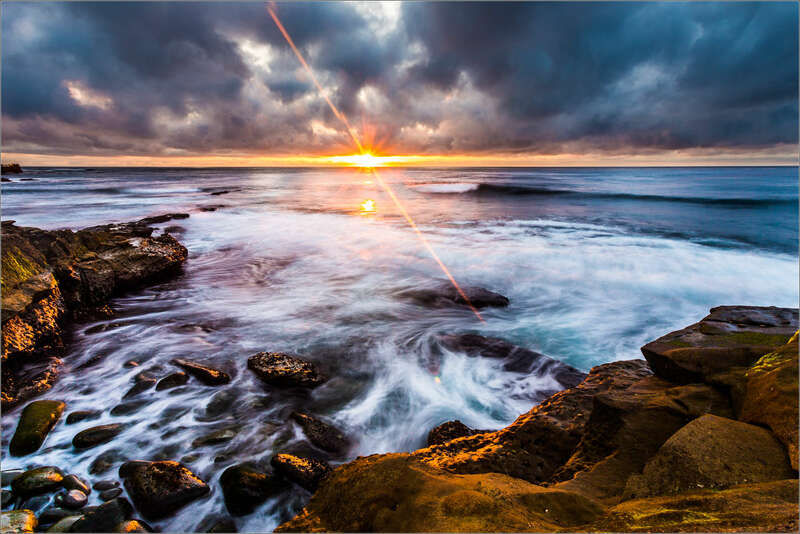 The colours came in nicely when the sun fell under the clouds before hiding behind the ocean horizon. 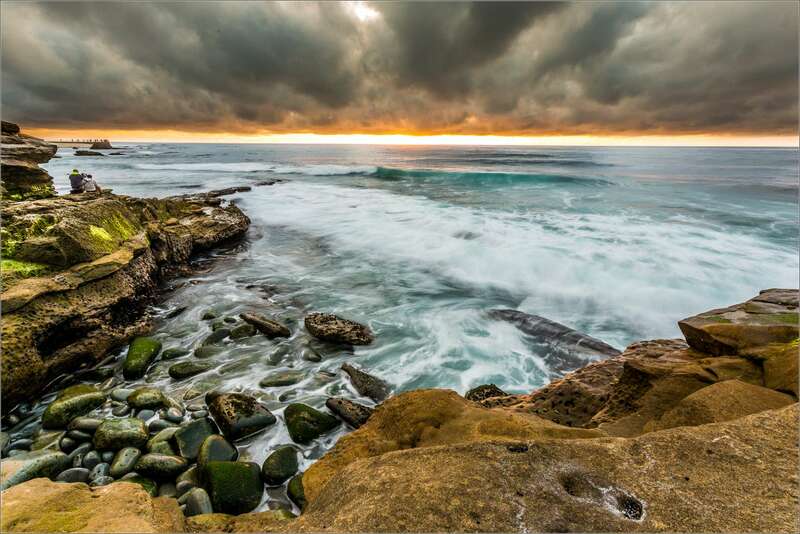 The shoreline around La Jolla looked like someone had splashed paint across the wet rocks, swirling water as well as the dark clouds hanging above. This was a few minutes after the previous image I shared from the same sunset – interesting how the colours changed over that short period of time.